Sorry for the radio silence on the blog! I've been feverishly working on an upcoming Capital Style feature and haven't had any energy for much else. 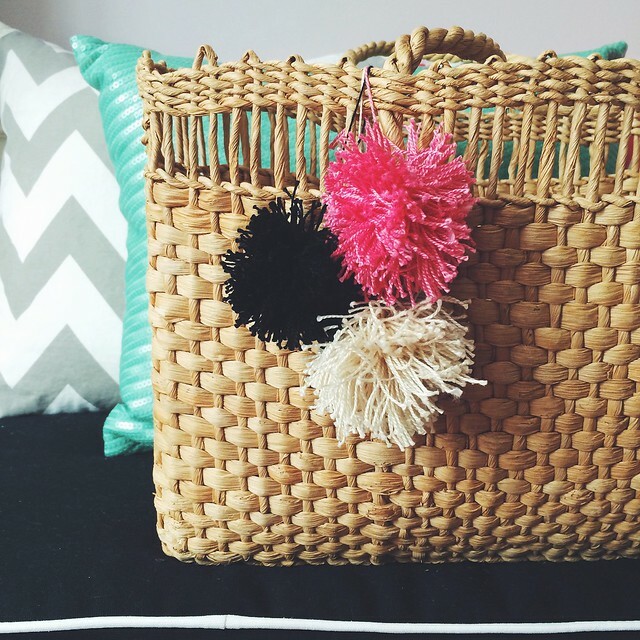 But I wanted to pop in and share just a little bit on it plus a DIY that I will be sharing later this week. The feature that I'm working on is a Mother's Day gift guide featuring local products & places and it has been so much fun to work on! I mean, it's pretty much a gift guide for all things that I would want to get on Mother's Day, so it's really all about what I want. Just kidding! But I'm hoping that it's what every mother would want to get as a gift. I know I wouldn't mind one bit if I got any of the items from the gift guide. I don't want to give it all away, but I just wanted to share about two places in Annapolis that are included in the gift guide. 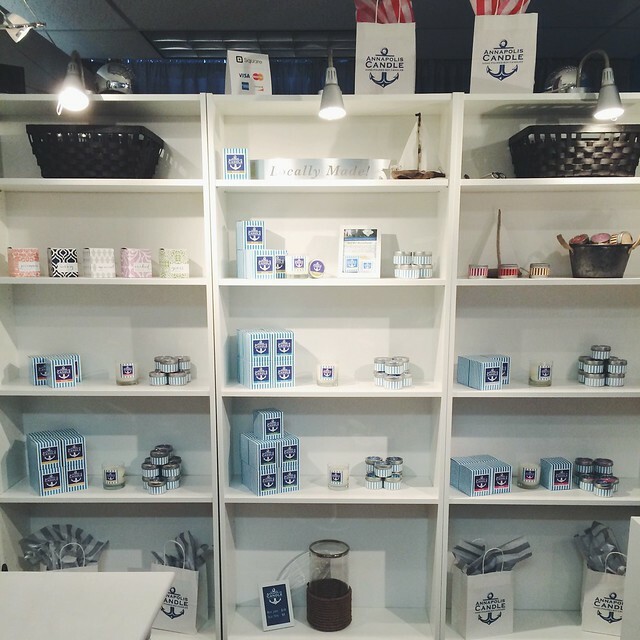 First up is Annapolis Candle. I was first introduced to them through Here.a pop-up shop a few popup shops ago and have been obsessed with their candles ever since. And because of this feature, I was lucky enough to visit their studio and check out all of their products and speak with Michael, the husband of the husband & wife duo who founded the company. Above is a snap from their studio, which is open to the public by appointment only or you can stop by on the last Saturday of the month to check out not only their studio space, but also the other amazing local artisans sharing the same studio space. You can also find their candles locally at Homestead Gardens, Whimsicality, and Candles Off Main. Or you can shop them online. The second place is one of my favorite places in Annapolis and is somewhere that I pop in at least once a week. 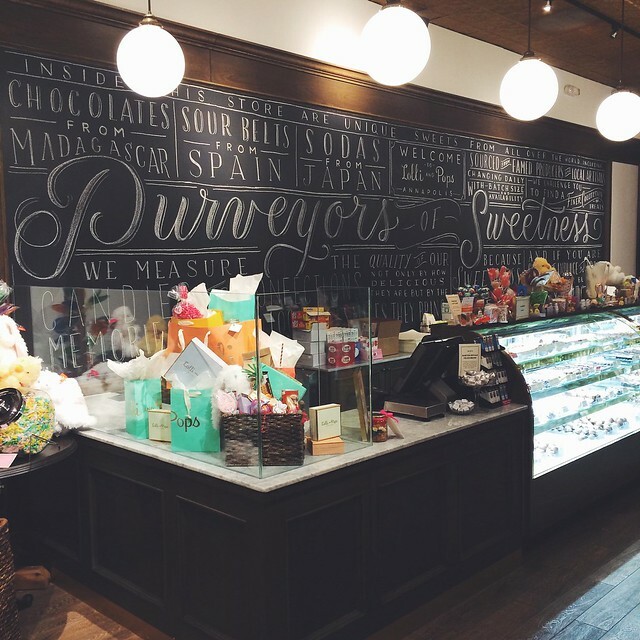 Lolli and Pop is a candy shop, but not just any candy shop. It's got this old-fashioned, mom & pop feel from yesteryears and has the best selection of candy hands down. They've got everything from chocolate covered oreo cookies to Japanese soda. I mean it's just the coolest shop ever and I could spend a few hours in there just discovering new sweets to try. Plus, they've got this section right when you walk in on the left-hand side of items (the cutest paper plates/cups/napkins and more) to help you decorate your next fête. It's just a really happy place and I guess that's why I frequent it so much. 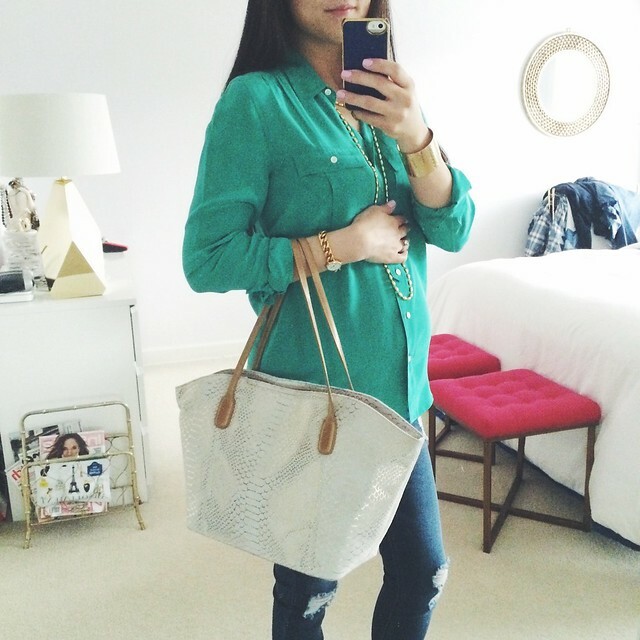 Just a few of the maternity style outfits I've been rocking. I've been trying real hard to wear non-maternity tops, but it's starting to get a little more difficult since the belly is getting really big. I was able to squeeze myself in that green J.Crew silk blouse the other day, but I think my days are numbered with how many more times I can wear it before I give birth. 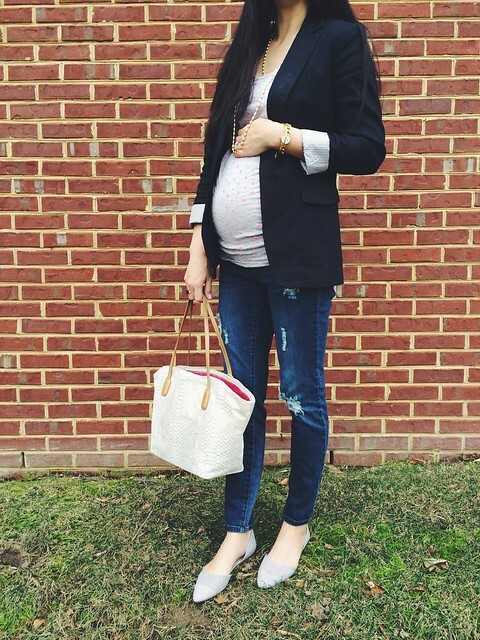 And one of my favorite ways to dress the bump is with a tight tank or tee with a blazer. It's easy, comfy, and looks polished. I'll have a proper outfit post on one of my new favorite blazers that I've been wearing real soon! A sneak peek at a DIY that I've been wanting to work on for a while now. More on this later this week!